Looking for Classic Car Insurance you can count on? Call 888-299-7224 or request a quote online and start saving today. Get Your Free, no-obligation Classic Car Insurance Quotes! We promise not to sell your information, and you'll only be contacted by RightSure Insurance. 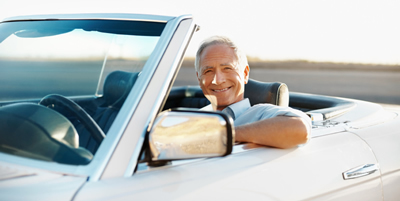 RightSure Insurance is one of the top insurance agencies for classic car insurance. We work with quality insurance companies and employ dedicated insurance professionals. We’re committed to providing quality insurance services, and building long-term relationships with our clients. RightSure Insurance employs an exerienced team of insurance agents, who have helped a lot of people like you save money on classic car insurance. There are a lot of choices for a local, Tucson independent insurance agent. Make the right choice in choosing RightSure Insurance. RightSure Insurance is independently owned and locally operated to handle your insurance needs. We offer affordable and reliable Classic Car insurance solutions.